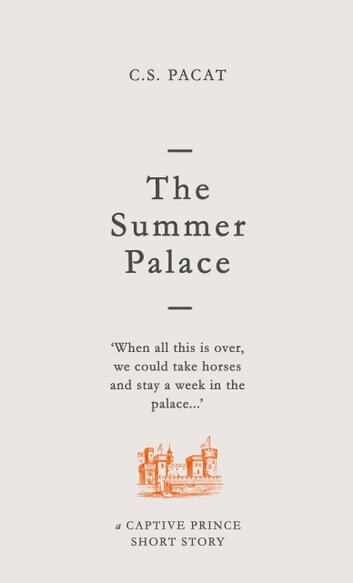 "When all this is over, we could take horses and stay a week in the palace..."
Set after the events of the Captive Prince trilogy, The Summer Palace is a story about Damen and Laurent. It's an epilogue of sorts to the Captive Prince series. The epilogue I had longed for. Absolutely breathtaking—it moved me to tears. 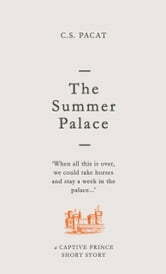 If you have read and enjoyed all three books of the trilogy, this short story is a must. Nice to have a glimpse into Damen and Laurent's time together afterwards. Sweet! The perfect ending to the series. As usual, she gives us everything we could have wanted. 10/10 want more. I've been waiting for sequels nd prequels and anything to keep the Captive Prince series going. It was short but so wonderful.